Read the latest ICAA newsletter here. 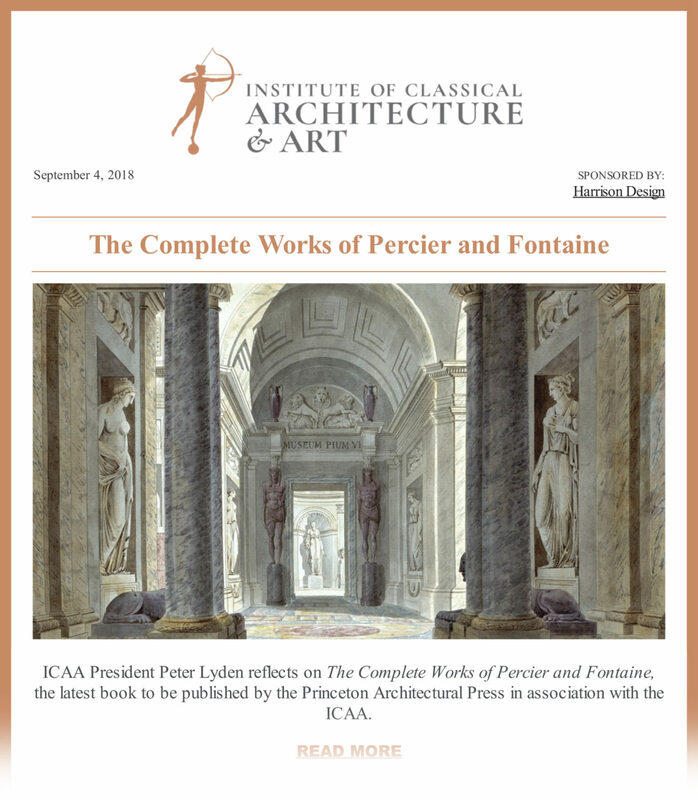 Published September 4, 2018, it features the ICAA's new book The Complete Works of Percier and Fontaine, an exclusive interview with architect and urbanist Elizabeth Moule, the latest video in Calder Loth's educational video series, upcoming lectures and programs, and more. View the ICAA February 2018 Newsletter.